Ten years after the incident from Magical Girl Lyrical Nanoha A's, Subaru Nakajima is rescued from a fire in an airport in Mid-Childa by a matured Nanoha. And ever since then, she is inspired by and looks highly up to Nanoha. 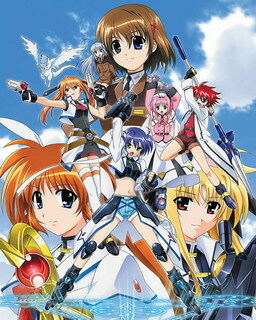 Four years later, she and Teana Lanster are taking a test to increase their rank from C to B (Nanoha, Fate, Hayate, and Rein observe the test). After passing the test, joining them are Erio Mondial and Caro. Together, they face up against the Jail Scaglietti, a dangerous criminal after the Lost Logia.